Just cut, stitch, trim, and turn to make fusible appliqu?s! Each panel makes 4 leaves, and 5 sets of 3-petal flowers. Five 12" x 36" fusible interfacing panels per pack. 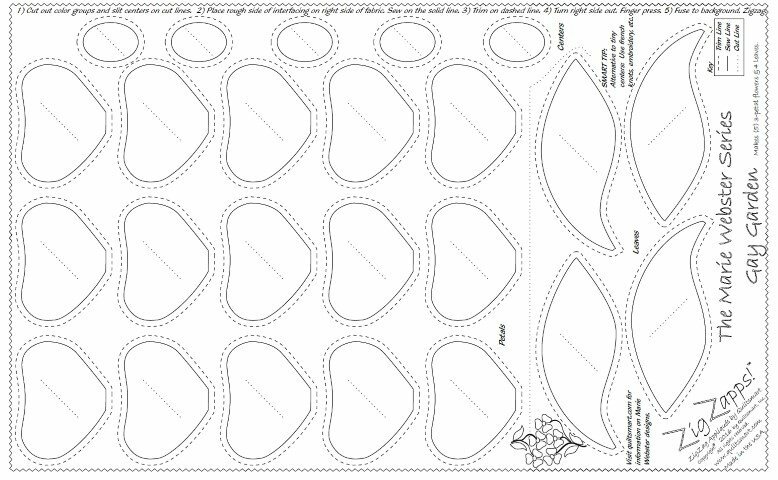 These panels can be used to make Marie's 100 year old pattern or to create blocks for your own quilt design. It takes 2 panels to create the block shown here. Instructions and tips printed on the interfacing.